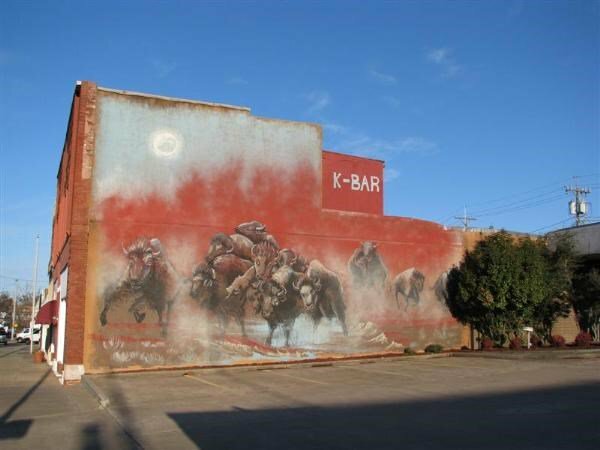 Drive around McAlester and take in a mural spanning the walls of a law building on East Carl Albert Parkway, in celebration of the town’s unofficial mascot and logo. This particular mural was created by a McAlester high school art class. Take US-270 E and OK-1 E to E Carl Albert Pkwy in McAlester.